Our skies have been blue. 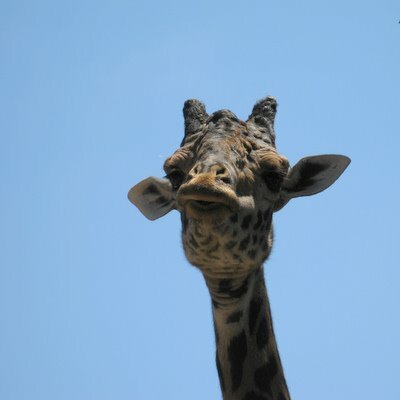 I love giraff's, and this one was happy to pose, to add some variety to the sky. Just click on http://skyley.blogspot.com to see lots more sky shots. Ah, but to be a giraffe with your head in the clouds, or in this case blue sky. I loved seeing them in South Africa. They seem perfect for Sky Watch - They certainly are way up there! 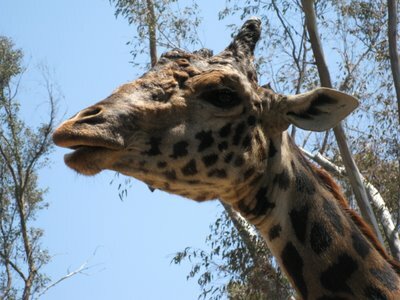 I love your giraffe! Really brings a smile to my face. Happy Sky Watch!